Misty rainy fall days in Colorado are some of my favorite conditions to photograph the autumn color in. The overcast diffused lighting allows for the subtle colors of a given photograph to pop. The combination of the wet aspen bark, orange ferns on the ground and peaking yellow aspen leaves were to much to pass. 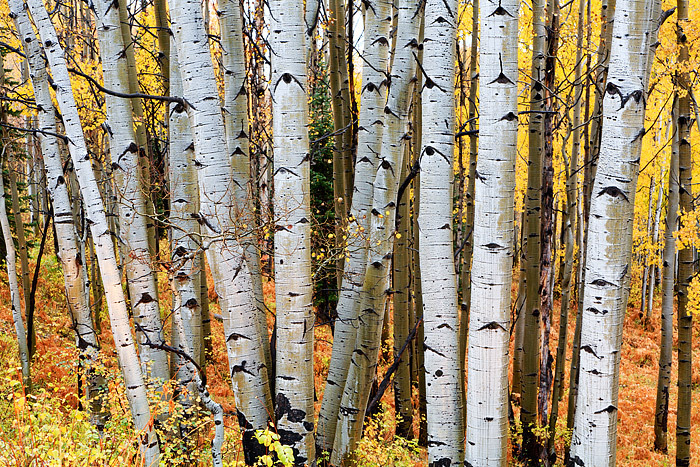 Scenes like these keep me going back to Kebler Pass just outside of Crested Butte, year after year. Photo © copyright by Thomas Mangan.